What will it take to convince a multi-national manufacturing company to significantly increase its investments on the continent? Can Africa position itself as an outsourcing destination? As Africa awakens from economic slumber, can the continent position itself as an outsourcing destination? Jonathan Liebmann is the man behind Johannesburg’s Maboneng Precinct, a previously deteriorated neighbourhood that has now been upgraded into a vibrant community. The world’s supermarkets are slowly but surely becoming more dependent on Africa as a source of agricultural produce. During a session at the recent World Economic Forum on Africa, held in Addis Ababa, experts discussed how the continent’s emerging middle class will transform economies and societies. “Ethiopia struggles with a significant gap between perception and reality,” says Gabriel Schulze, CEO of private equity firm Schulze Global Investments. Which sectors and countries will offer the most profitable opportunities over the coming decade? Does the ability to do mobile money transfers equal financial inclusion? Africa’s mobile money industry has seen a flurry of activity since the launch of Kenya’s M-Pesa platform in 2007. The idea of a ‘gateway’ into Africa has become a dated concept. Entry into African markets now mainly depends on the nature of the investment, says Yunus Suleman, chairman of KPMG Africa. 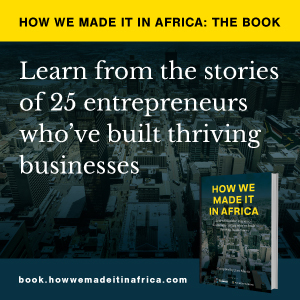 How we made it in Africa publisher Jaco Maritz’s travel diary about his trip to Ethiopia for the 2012 World Economic Forum on Africa. Bethlehem Tilahun Alemu, managing director of Ethiopian footwear company soleRebels, answers our questions.